Loved yesterdays opening ceremony of #PSL ???? 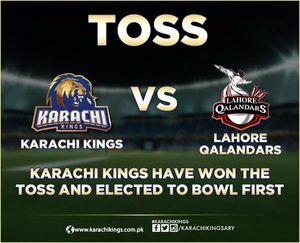 Toss: Karachi Kings won the toss and elected to bowl first. When Chris Gayle is playing against you, You always seek for the Target, what it be: Malik, after winning the Toss, bowl 1st. The highlight of Today's game is C Gayle for Lahore & Muhammed Amir for Karachi. 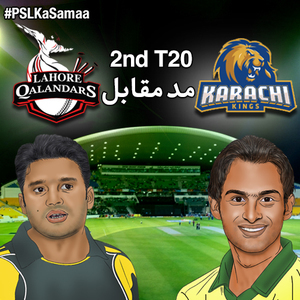 "Can't wait to watch the battle between Amir and Gayle. The most Successful Captain of Pakistan's Domestic circuit is leading my Karachi Team!